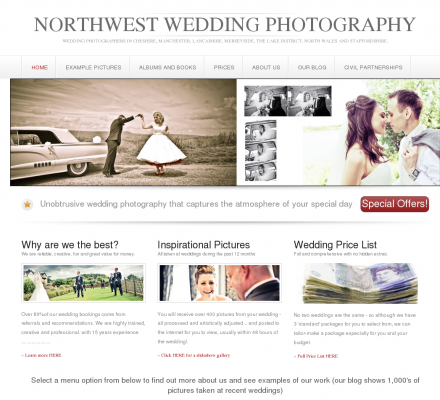 Northwest Wedding Photography - Innovative wedding photography from award winning wedding photographer Michael McCann. Innovative wedding photography from award winning wedding photographer Michael McCann. Full details of our service, prices and examples of our work can be found on our website. We cover Manchester, Cheshire, Lancashire, Liverpool, North Wales and The Lake District.